This song is heard in the Main Street Electrical Parade (which I prefer to call the Electric Light Parade). 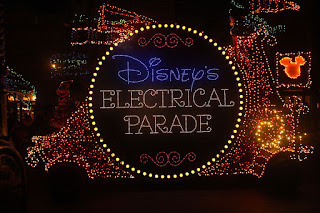 The original version was called "Baroque Hoedown" and was adapted by Disney for the Electric Light Parade, which alternated with SpectroMagic as the nighttime parade of the Magic Kingdom. Technically it should not be eligible for my countdown by my own guidelines and should instead be considered an arrangement. But I had no idea that this was not an original song until I was reading about its history just now and so I'm making an exception and including it. I love the opening with the synthesized voice, and the ending is great too. 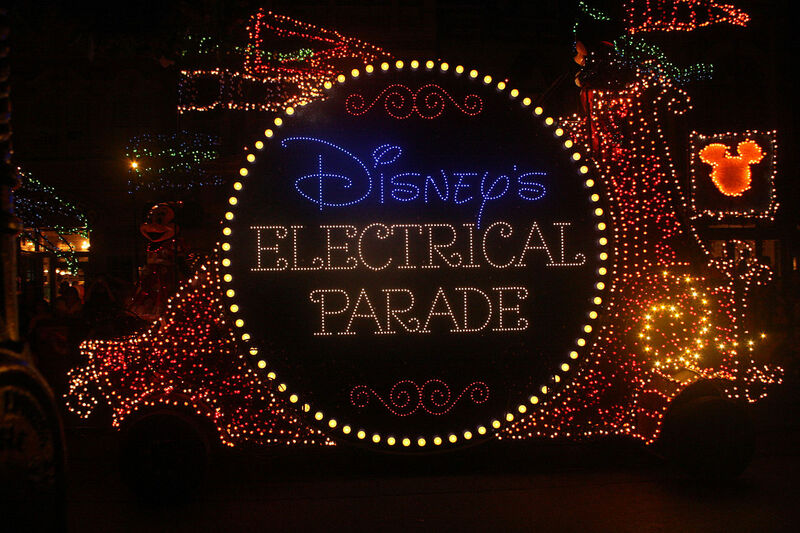 Generally speaking, I'm not a big "parade" person because I tend to get restless as I watch floats go by, but I've always loved SpectroMagic and the Electric Light Parade, and I attribute to that mostly to the music. Also the fact that it was at night helps to lend some oomph to the proceedings. P.S. I just found this score from the Tokyo Disneyland parade. Awesome stuff.